Red Rubber Inspirations: Introducing Red Rubber Digitals! I've been working on this for a couple of months now - back in August I alluded to some new things happening that I couldn't talk about yet, but now I can! I am so excited to finally be able to release this new site after a lot of work! Designing the website didn't go as smoothly as I would have liked and it took me longer than I anticipated. But now the hard work is done and the fun begins! If you like high-quality digital products - stamps, images, clip art, patterned designer paper and more - you'll love Pickled Potpourri! 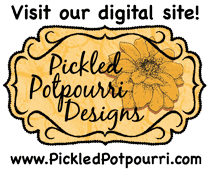 There are NEW and ORIGINAL Pickled Potpourri designs! And I'm putting more designs in the store on a regular basis. Come on over and take a look and let me know what you think! How exciting, Pam! 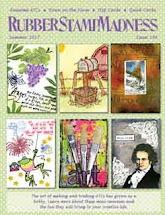 Digital images are so popular now, and since we've loved the rubber stamp images, it will be wonderful having them in digital format. I'm so happy to have this new addition. You have been a busy girl! Love the digi store!